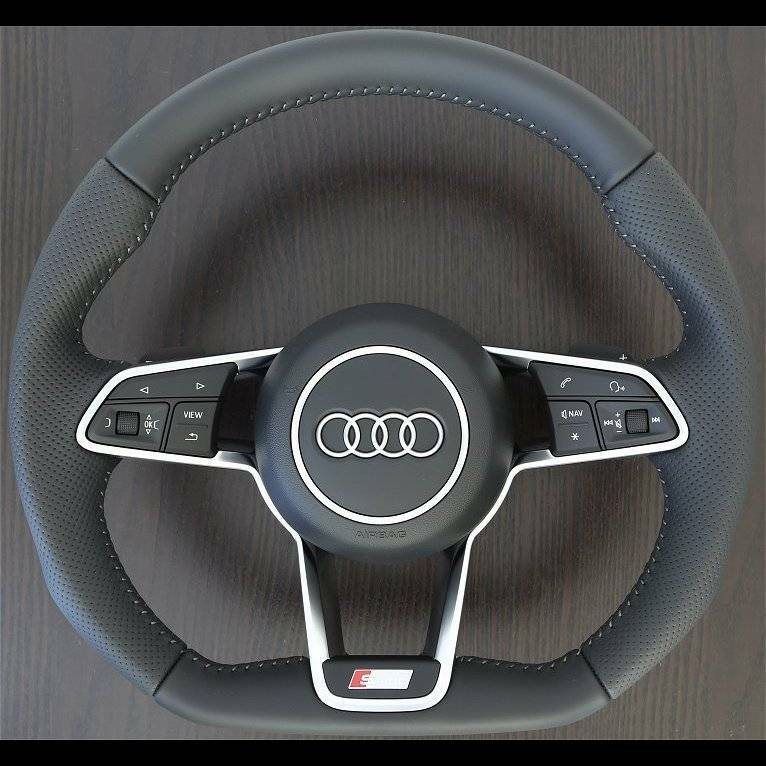 The thickest and most contoured flat-bottom steering wheel available wrapped in partial air leather with cliff grey stitching along with aluminum accenting. Available with or without black shift paddles. Includes S-Line badging.